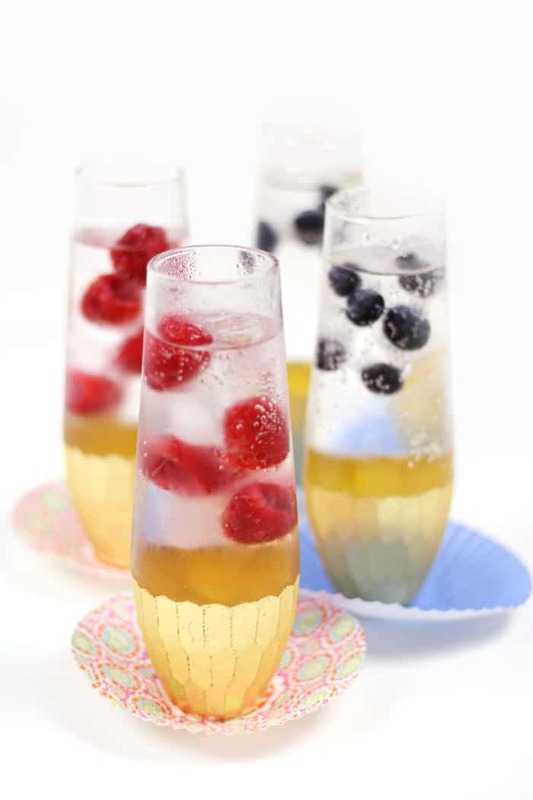 Plain bubbly is boring. 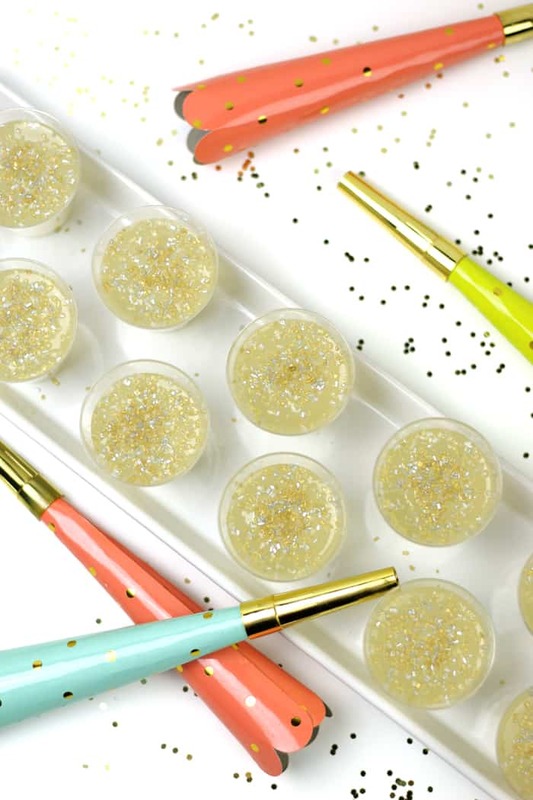 Here are 18 New Year’s Eve cocktails worthy of a midnight toast! Say a sparkling hello to 2018! Here we are, counting down the minutes to 2018, and all I can think is: How can it be that 2017 must come to a close already? 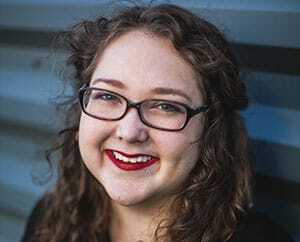 I feel like this year flashed by at light speed. 1) We live all over the WORLD (North Carolina, Alabama and Egypt!) so all three of us hanging out together is super rare. 2) We haven’t spent NYE together since we rang in 2005 on a family vacation to Ireland. 13 years too many! 3) This is my first holiday season in the home I share with Chris, and I just want to have everyone over for cocktails and cheese plates. Can you feel my excitement? 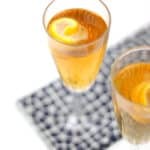 I’m planning to serve up a champagne cocktail or two, and I consulted some friends for a few ideas. 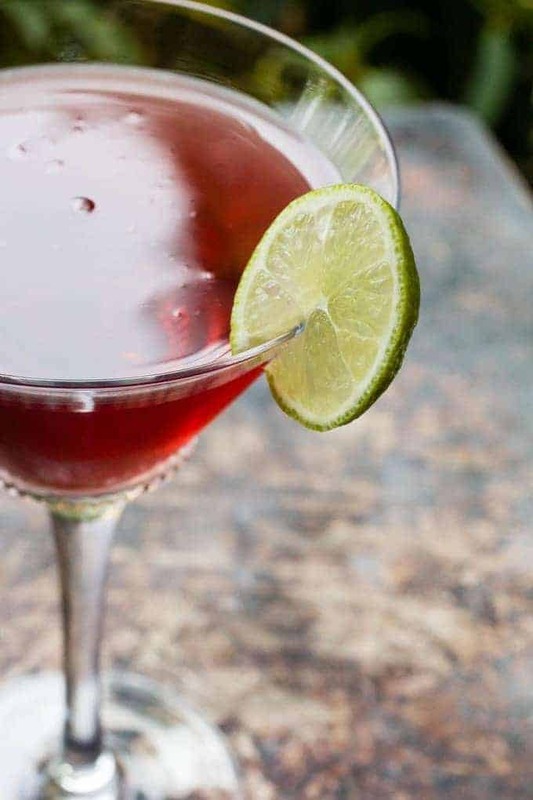 I rounded up 18 New Year’s Eve cocktails in case you’re in need of a champagne cocktail for tonight, too. 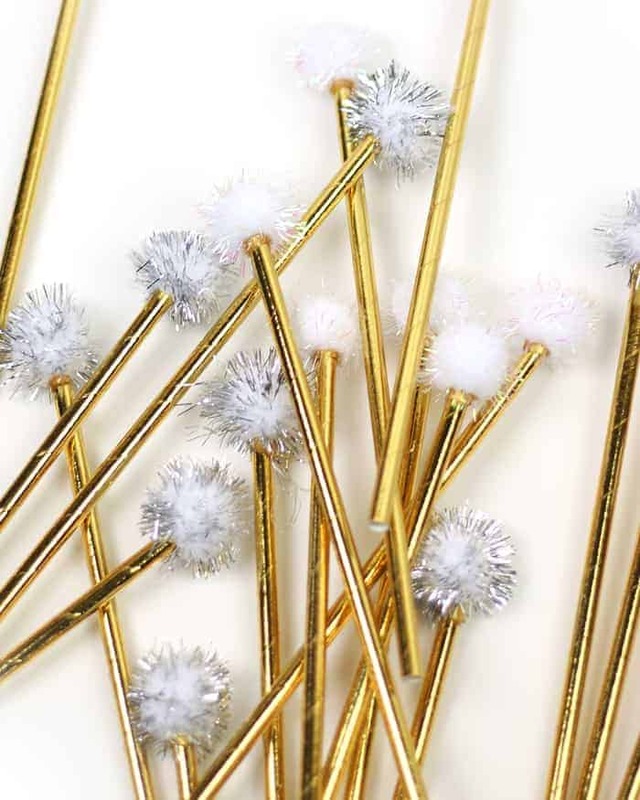 You probably need cute cocktail stirrers, and if you feel a DIY coming on, these DIY Pom-Pom Drink Stirrers make for a fun crafternoon. And if you’re not sure which bottle of bubbly to buy? 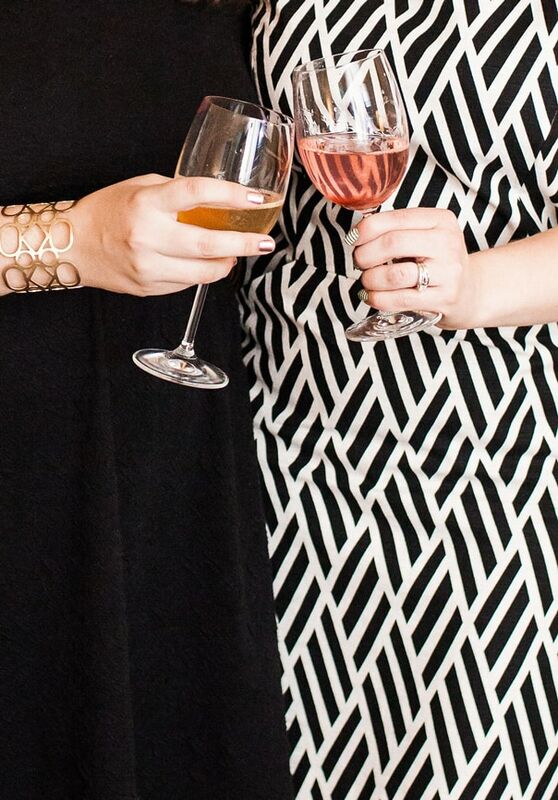 Boy, do I have the guide for you — Wine 101: Intro to Champagne + Sparkling Wine. 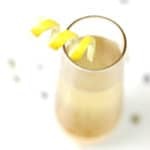 My Elderflower French 75 makes for an amazing bubbly drink! The lemon twist garnish is a showstopper. 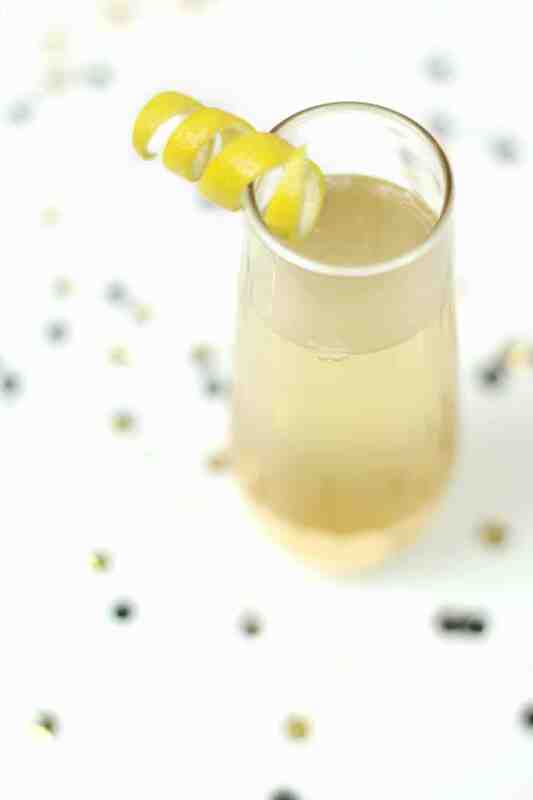 The Speckled Palate’s Pomegranate French 75 brings out the big guns with pom juice, lemon and gin topped with bubbly. 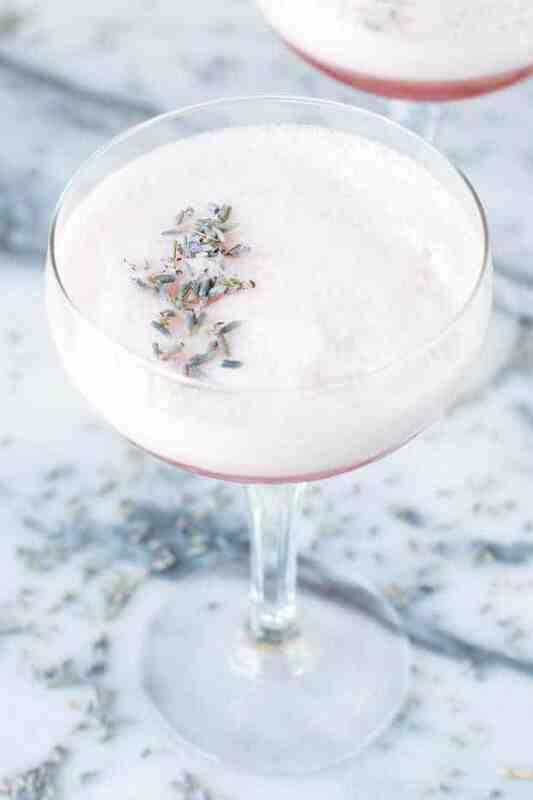 For a floral touch, don’t miss the stunning Lavender Rose Royale Cocktail from Cake ‘n Knife! 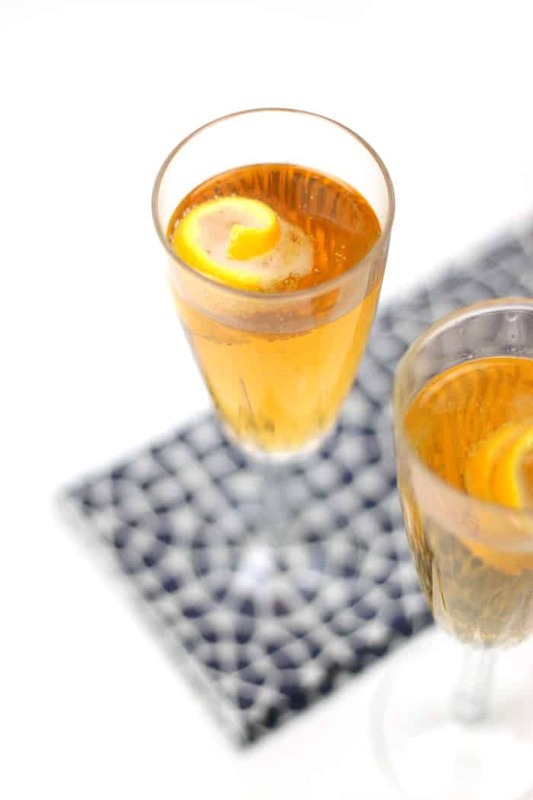 My Seelbach Cocktail recipe is the bourbon-based champagne cocktail you need in your life. 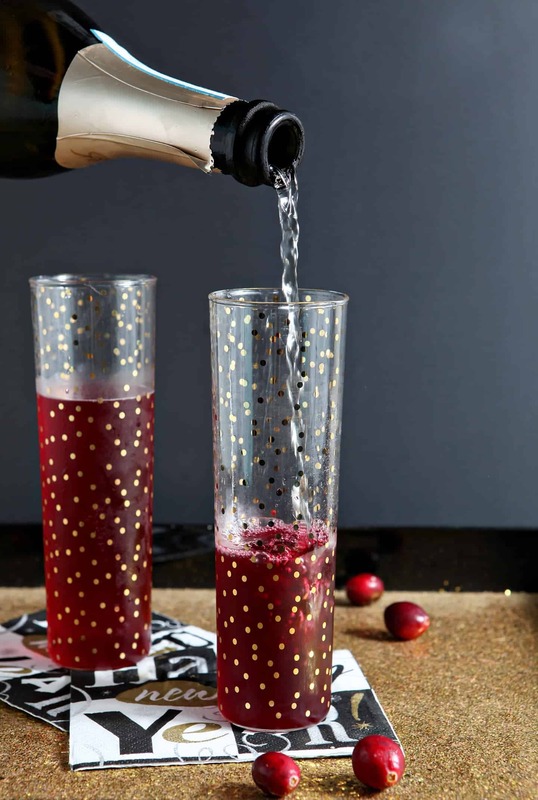 Cranberry Champagne Punch from Or Whatever You Do looks so delightfully festive! 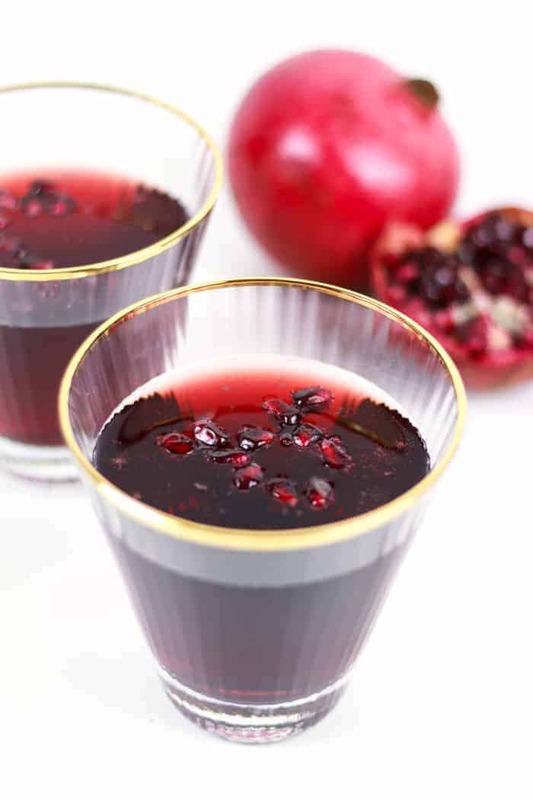 Port wine + champagne pair beautifully together in this Sparkling Pomegranate Port Wine Cocktail. 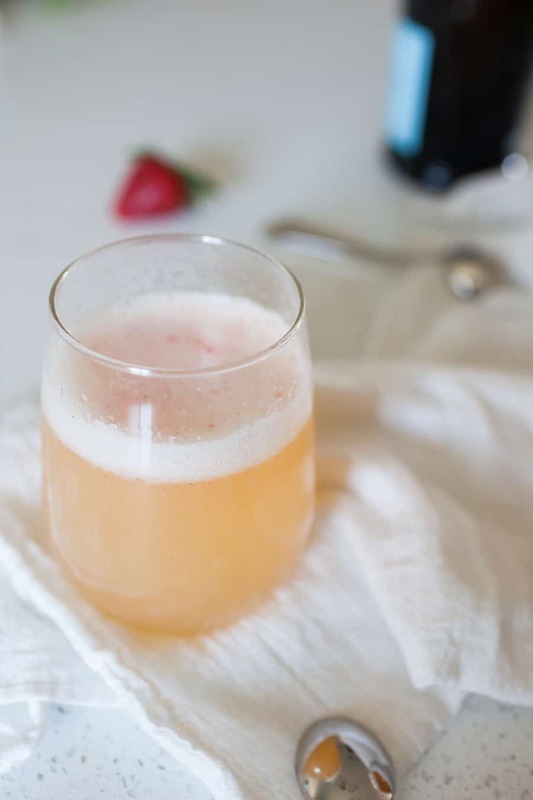 A Joyfully Mad Kitchen’s Ginger Strawberry Bellinis bring the sugar and spice to the new year. Herbs make for beautiful garnishes. 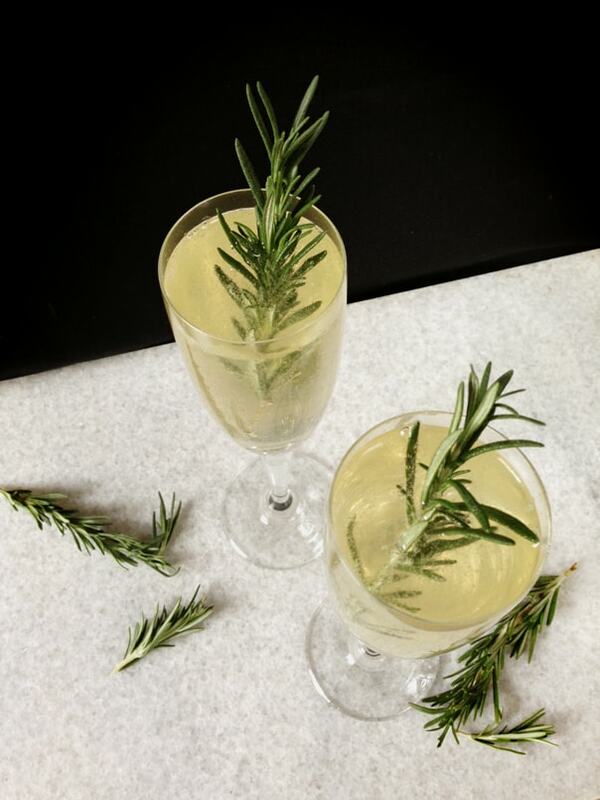 This Rosemary Sparkler is one of my favorite recipes. 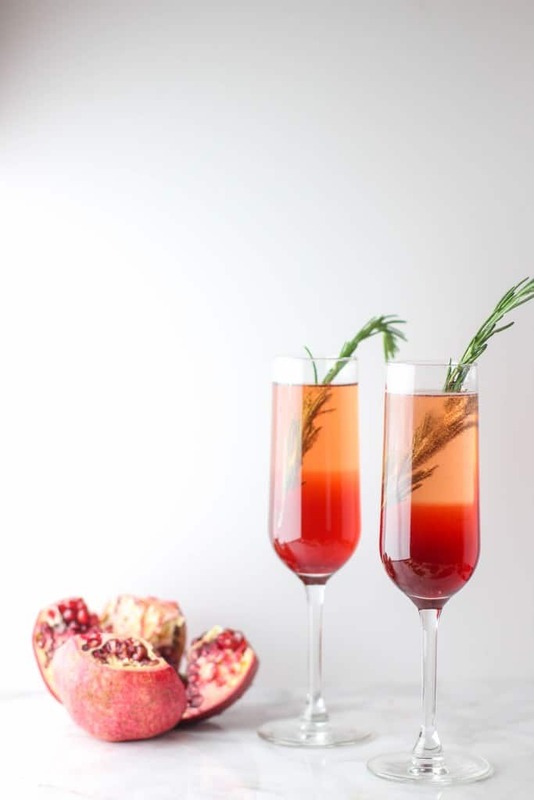 Festive down to the last drop, The Speckled Palate’s Cranberry Bellinis are perfect for midnight toasts. It’s just as fun to get out the mule mugs as it is the champagne flutes. 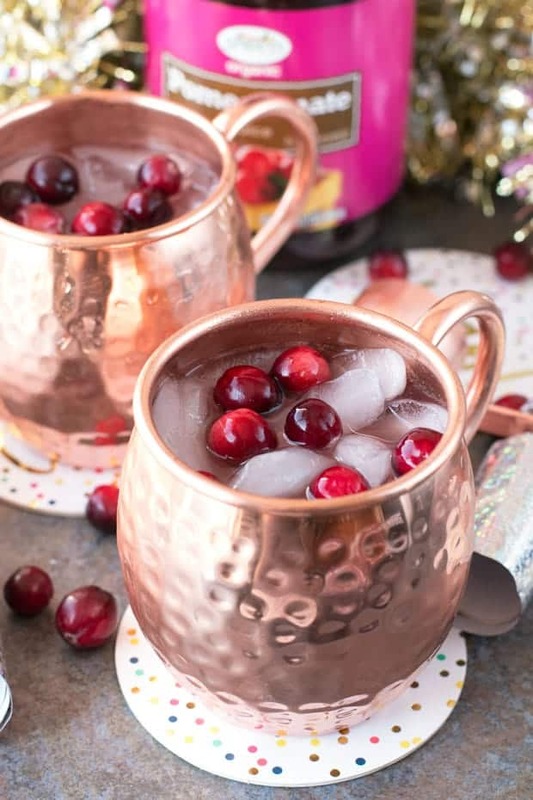 Try Cake ‘n Knife’s Cranberry Pomegranate Champagne Mules for something different! 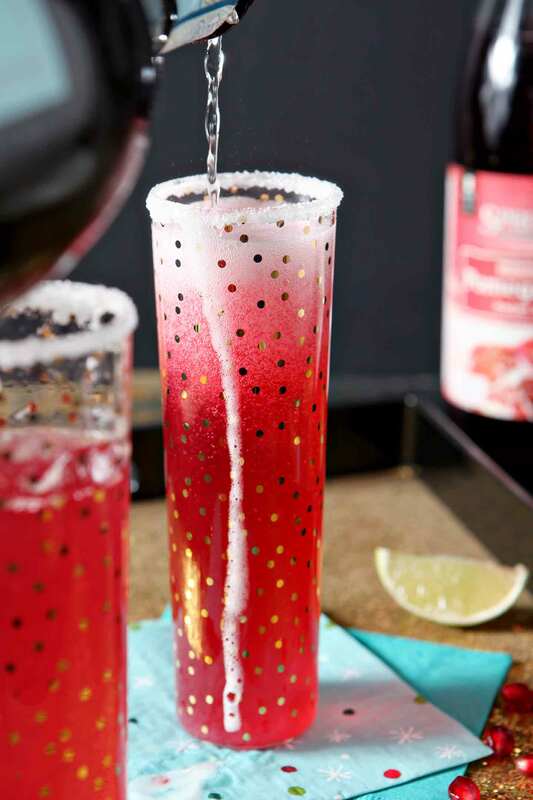 My Sparkling Balsamic Mocktails are a must on the menu for the designated drivers and non-drinkers! 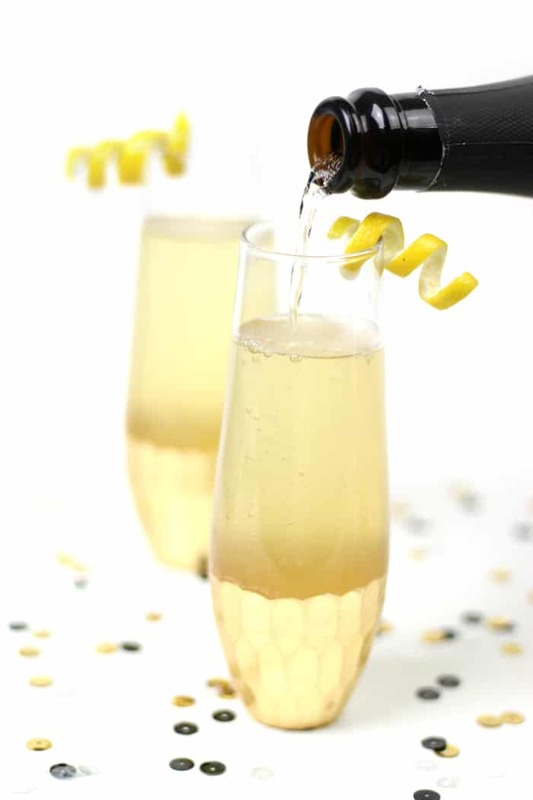 Who says champagne has to be plain? 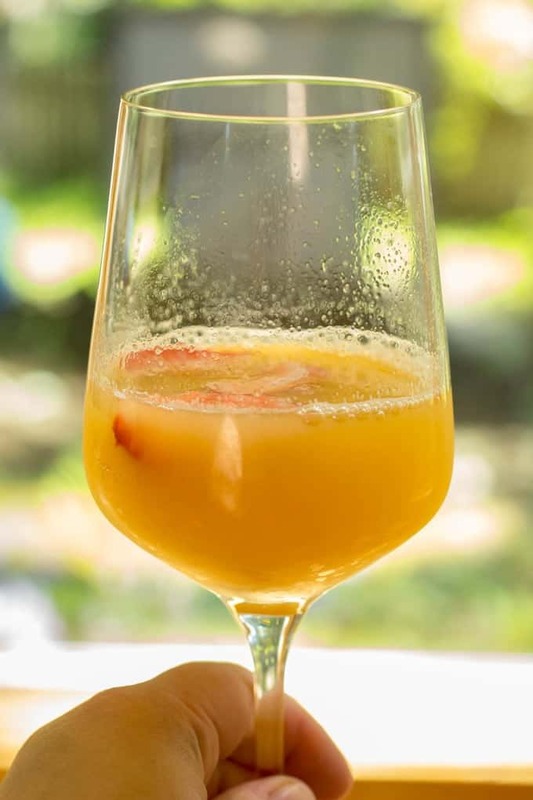 Orange Creamsicle Mimosas from Or Whatever You Do puts an adult spin on a childhood favorite. 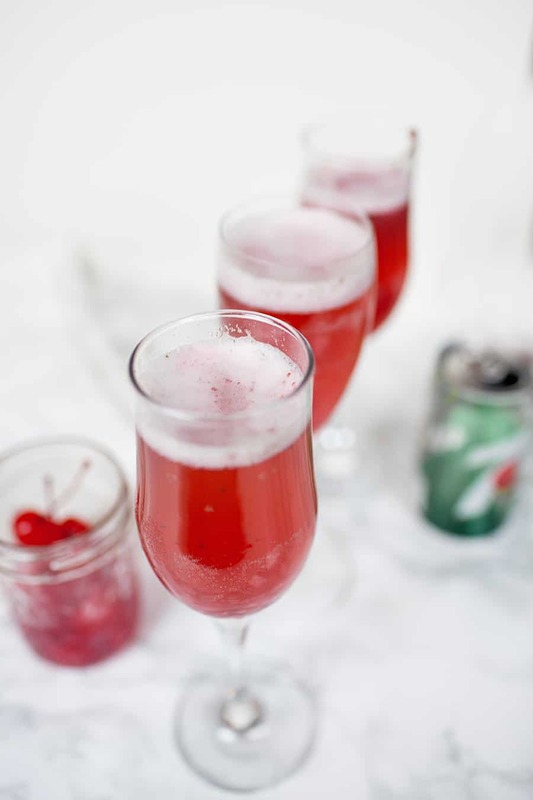 Cherry Sorbet Bellinis from A Joyfully Mad Kitchen prove that prosecco gets even better when you add succulent sorbet. 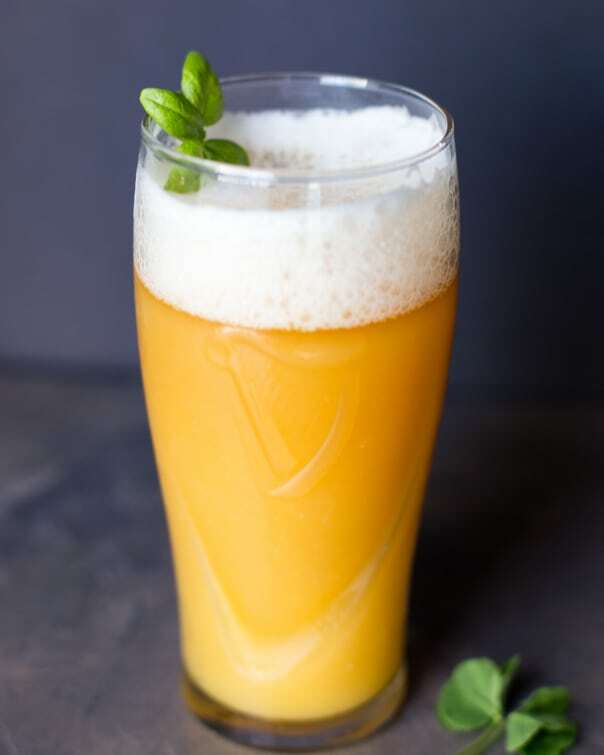 Because beer has a place on New Year’s Eve too, try these Beermosas by Glisten & Grace Design for something totally different. 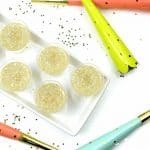 Set up a Champagne Cocktail Bar with homemade flavored sugar cubes. 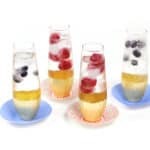 This way your guests can build their own cocktails! 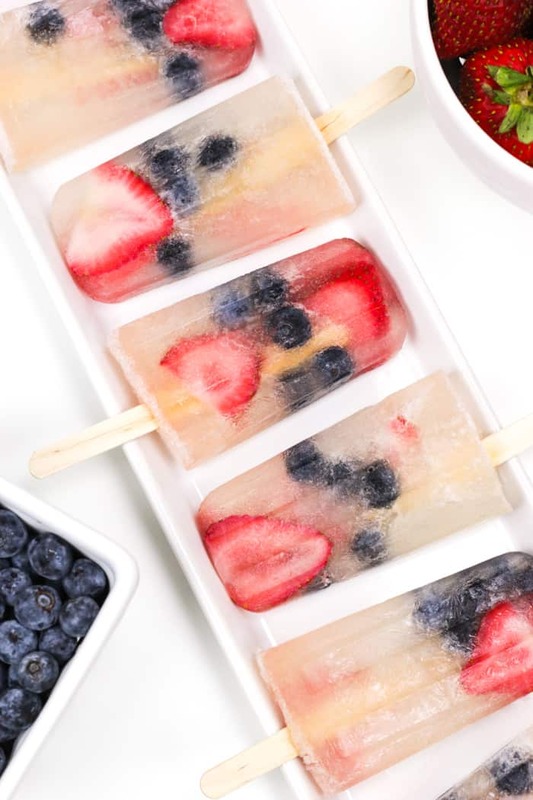 Boozy Prosecco Popsicles make a statement at any party. Drop in fruits or even sprigs of herbs for a colorful touch. i loved each one of these cocktails, i can have all of them at the same time! It would be fun to taste test some of them, wouldn’t it!